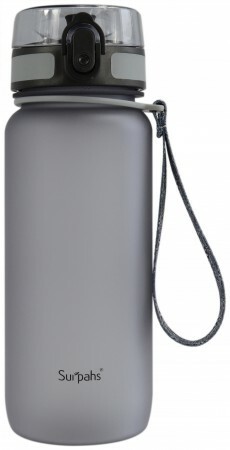 Surpahs TR it an BPA-free 22oz water bottle20-ounce (650 ML) USA TR it an BPA-free water bottle with leak-proof lid and portable carrying belt. Perfect for running, gym, yoga, camping, indoor & outdoor sporting. Opens with 1-click easy-open flip top cap. Wide mouth, fast water flow, easily accommodates ice cubes. Dishwasher safe. 100% satisfaction guarantee.